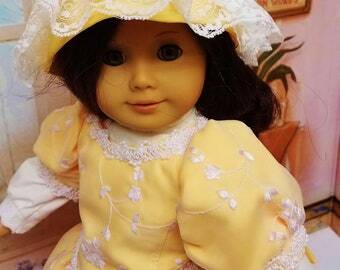 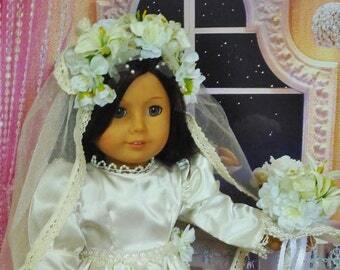 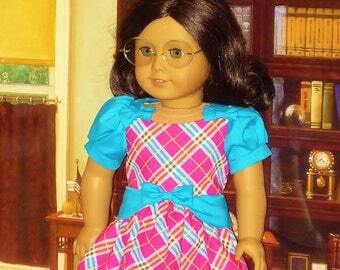 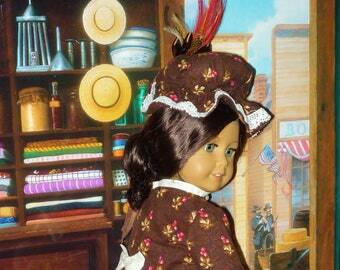 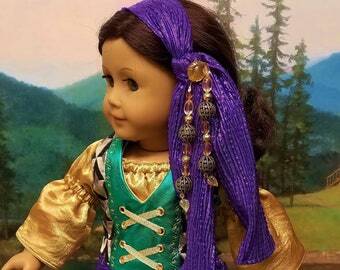 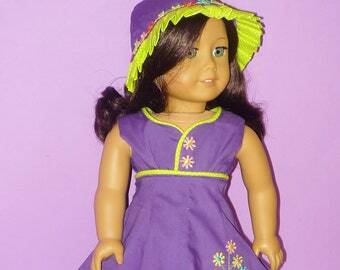 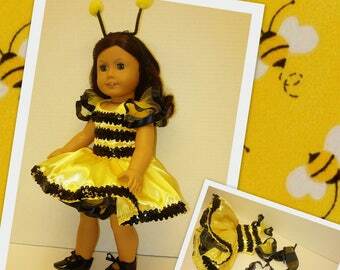 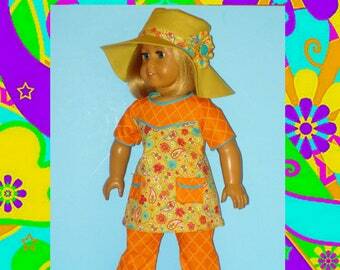 A retro 1930's style dress and hat for American Girl Doll Kit. 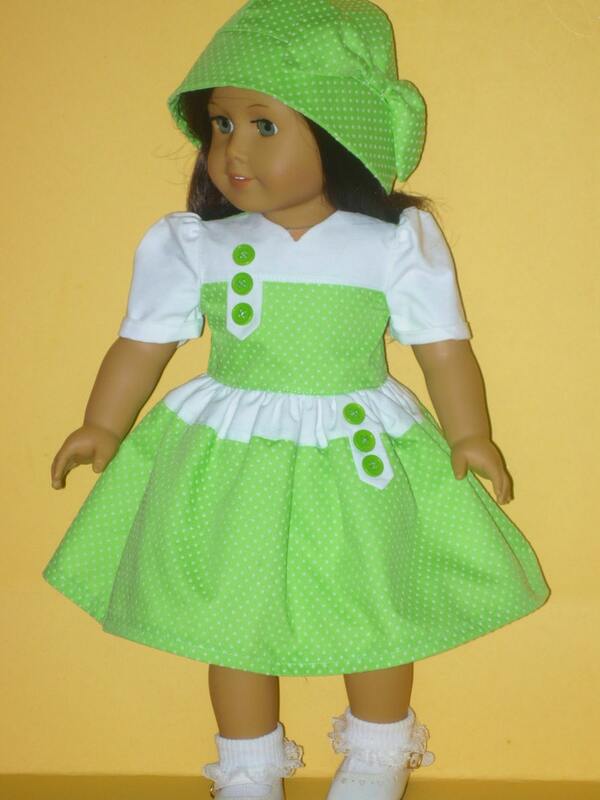 The dress and hat are made from a dotted green cotton and a white cotton. 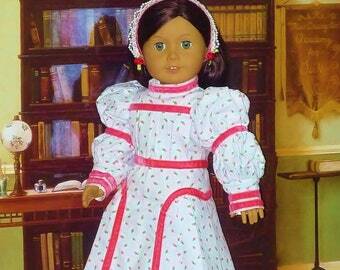 The tabs on the bodice and skirt are decorated with green buttons. 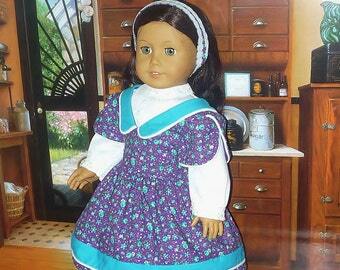 The sleeves have cuffs. 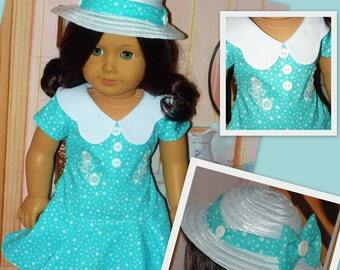 The dress and hat are fully lined and the dress closes in back with Velcro. 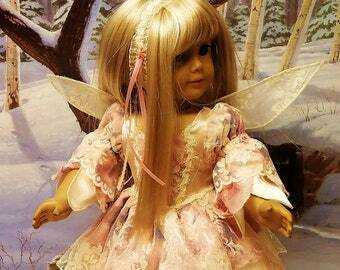 The Doll, Shoes and Socks are NOT included.